A special group of horses overnights at J. Drummond Farms. 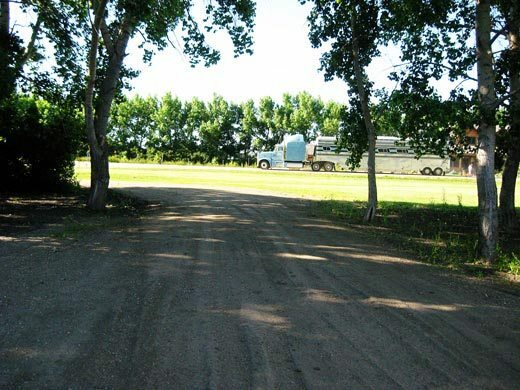 While I was on the road with the twins on our way back home from the ARCHA show held in Claresholm, AB – this trailer was ahead of me, enroute to Florida. 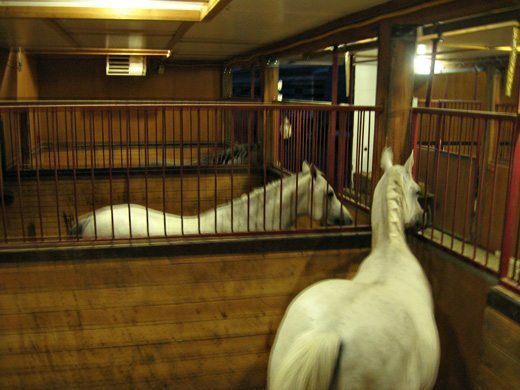 One by one, the horses exited the trailer, stretched their legs and made their way to their temporary stalls for the night in our barns. If some of these guys look familiar, it’s because they are all part of the Grande Liberté act in the production Cavalia, which was recently in Calgary, AB. 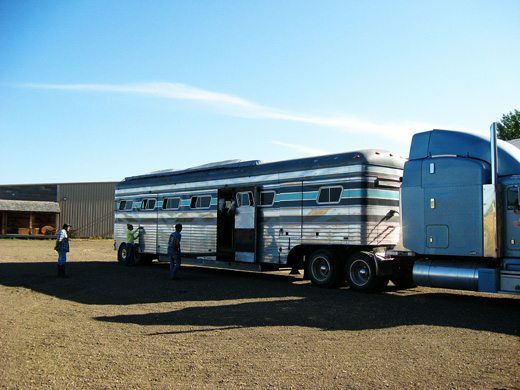 Now on their way next to Florida, these guys needed a place to overnight in Regina, SK, and as such, contacted us. 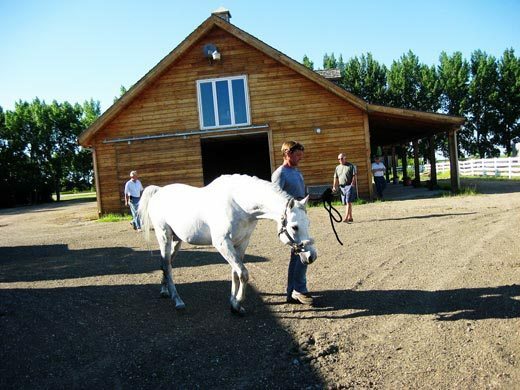 Since foaling season is over, we had the room available for the beautiful animals – some stallions and some geldings. 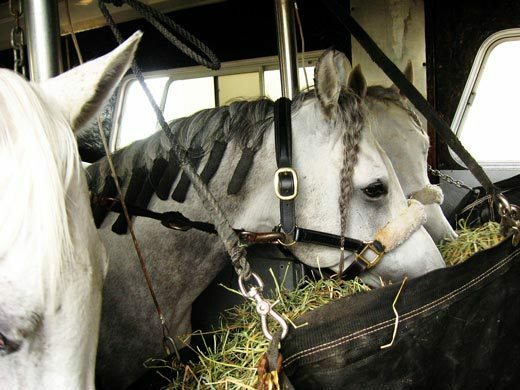 All were gray Arabians. 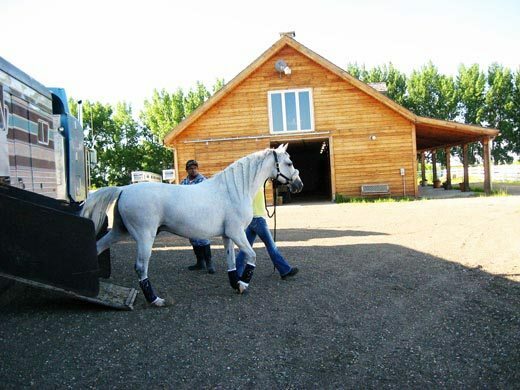 Sylvia Zerbini is the rider/trainer who performs with this group of horses in Cavalia and travels alongside them as well. 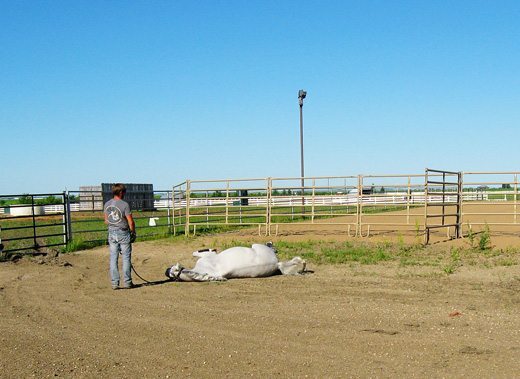 The work and number of hours put into training these magnificent horses must be countless but conversely, time on the road in between shows is short. 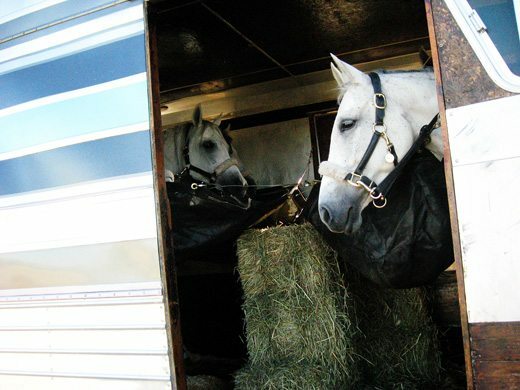 Cavalia likes to ensure their horses travel in trailers specially fitted out for them and equipped with surveillance cameras. 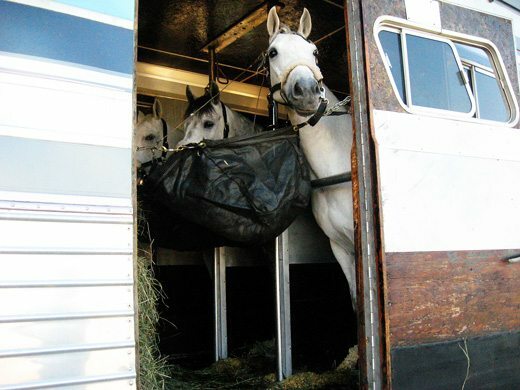 When long distance travel is required, the horses travel by air, in which case they are accompanied by a transport team and a veterinarian. 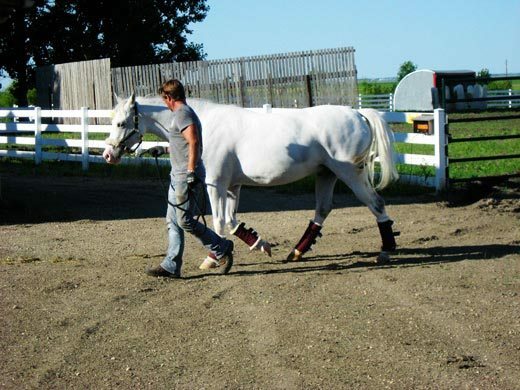 As the horses continued to step off the trailer at JDF, the care of their legs and well-being was obvious. Each boy was a gentleman in nature and easily adapted to his new surroundings. And in the morning, Syliva was up early to carefully load each of the spirited athletes, offer them breakfast and head out on their way. But not before Clay got in on a photo op…! 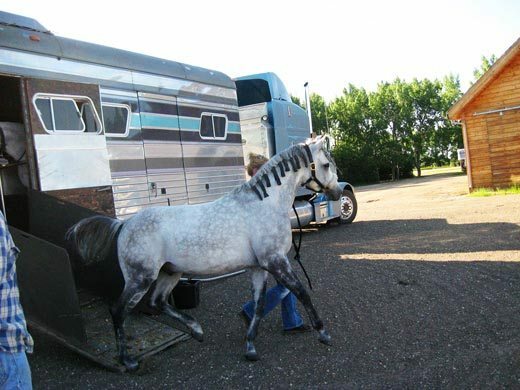 We wish Sylvia and her group of horses safe travels and good luck with the next Cavalia performance!